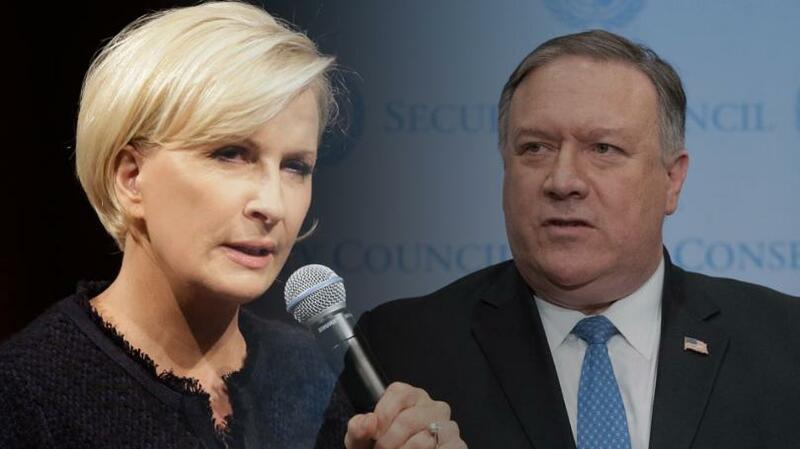 The homophobic and vulgar remark was triggered by a less-than-impassioned response from Pompeo about the murder of Saudi journalist and Washington Post contributing columnist Jamal Khashoggi. Pompeo had ducked questions in a “Fox & Friends” interview about Saudi Crown Prince Mohammed bin Salman’s role in the killing. Although Mika likely outwardly adheres to the liberal orthodoxy concerning the importance of paying holmage to homosexuality; however, inwardly she thinks so little of it that she uses it as a curse word. Rather than arguing for her point, she strikes out with name calling. Therefore, it seems as though she has no argument that will stand against Mr. Pompeo. Over the years, liberals have lectured Americans that we cannot impose our morality on other societies (or so they argued while we fought wards in Viet Nam, Afghanistan, and Iraq). However, now that we are talking about Mr. Khashoggi, a citizen of Saudi Arabia (and a vocal critic of the current leadership), now they want to apply Western values to the kingdom. Even though Ms. Brzezinski has purportedly offered a heart-felt apology to the LGBT community, I would question its sincerity. If it took her three days to formulate it, it probably was not from the heart (but from the pocket book). In keeping with his on-screen, tough-guy persona (but in contradiction to his off-screen, ultra-left activist persona), the New York Daily News reports in a 3 November 2018 article on a 2018 attack over a parking spot. Baldwin was charged with third-degree assault, misdemeanour harassment and physical contact, officials said. Odd thing is that, while one or two early-published articles mentioned the language used by Baldwin, none of them stayed up. In fact, very few articles on the 2018 confrontation remain. Most articles that turn up from a Google search of “Alec Baldwin, photographer, sucker” return links that cover a 2013 brawl Baldwin forced on a photographer. For example, one 2013 article in The Atlantic offers a defense of Baldwin’s anti-gay rants. It just contradicts logic that liberals will circle the wagons around someone who continually abuses others by using anti-gay slurs. @leeann_55 @AlecBaldwinShow @AlecBaldwin @RobertKennedyJr dailywire.com/news/37947/ale… Bigots. 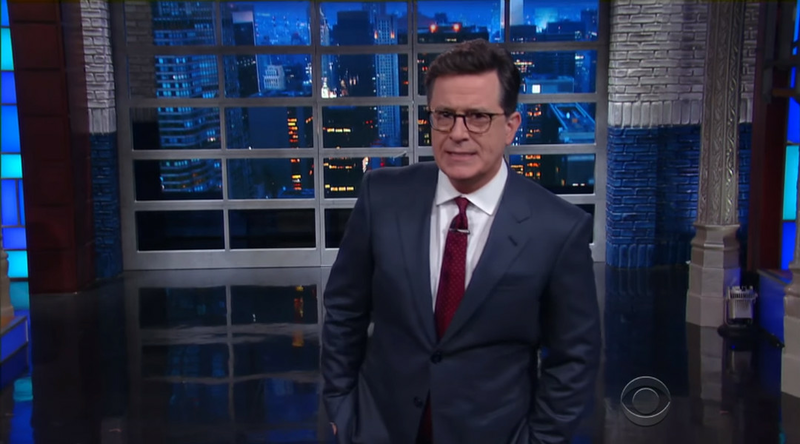 One 3 May 2017 article in Time at least carried a title (“Colbert’s Gay Trump Joke Went Too Far“) that suggested this media outlet recognized Colbert had taken a step too far. However, when you read the body of the article (and especially the next two paragraphs), you will see that no such recognization came to Time. It’s not hard to see why Colbert ended up defaulting to a joke that presumes the worst thing you can call a man is gay—the rest of his material wouldn’t get him booked as a guest on The Late Show. The show, like all late-night shows, is structured to privilege Colbert’s sensibility and his wit abone all. But Colbert has little to say beyond broad, bland puns about Trump’s physique, intelligence, and relative popularity. By the time that Colbert made his “c**k holster” comment in 2017, I had been ignoring his show for a year. Now, I make a point of turning to the Travel channel if I get a hint that his show is about to hit the air. Although Trump has held the place of “other,” the LGBT community might look to the history of his humor to know that they are not being used. Stephen Colbert is a homophobe. Really almost everyone to come out of TDS views LGBT people as punchlines.